We started Timeflies in 2010, and after releasing only singles, on September 19, 2011, released our debut album, The Scotch Tape. We also started Timeflies Tuesday – a series in which we are able to stay connected with you by releasing remixes, performing live covers, and freestyling over original beats. We released “Under The Influence”, a 6 track sample based mixtape in July, 2012 and are currently working on our second all original album to be released in the Fall. With another national tour planned for 2012 and 2013, we’re excited for what the future holds. Cal has been singing and freestyling since high school. While majoring in music and entrepreneurship he joined a band called The Ride. This blues, funk and hip-hop band was when Cal later teamed up with The Ride’s drummer, Rez, to form Timeflies in October 2010. Cal’s musical influences include Robert Johnson, Janis Joplin, Muddy Waters, and his favorite, Big L. Cal’s biggest strength, and weakness, is his love for scotch. Rez got an early start in production after building a studio in his basement for multiple high school bands. Rez works mostly in Pro Tools, Ableton, and Reason, and plays mainly drums, guitar, and piano. Rez spent a few years DJing in college, double majoring in music and philosophy. In regards to his Timeflies production, Rez cites Porter Robinson, Benny Blanco, Pretty Lights, and JR Rotem as major influences. He is also a serious Green Lantern fan. 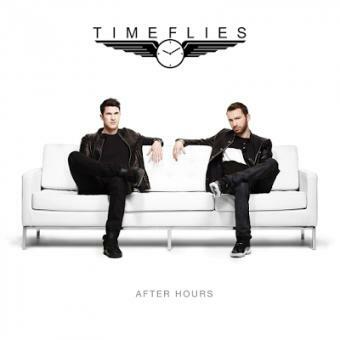 Новое видео американского электронного дуэта Timeflies на песню "All The Way", которая является лид-синглом их предстоящего третьего мини-альбома.